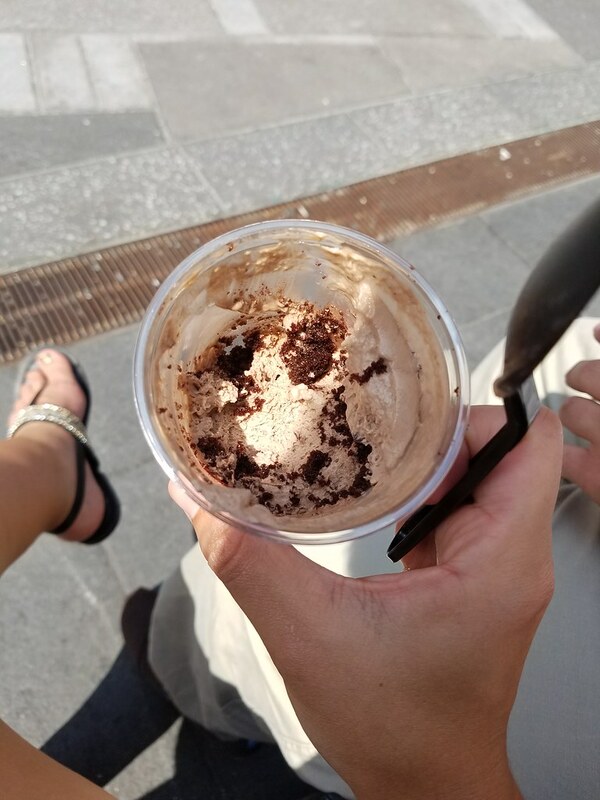 Now that summer is over and my mission to enjoy as much ice cream as possible has ended*, I’m back to scanning for bakeries, rather than ice cream shops, during my travels. 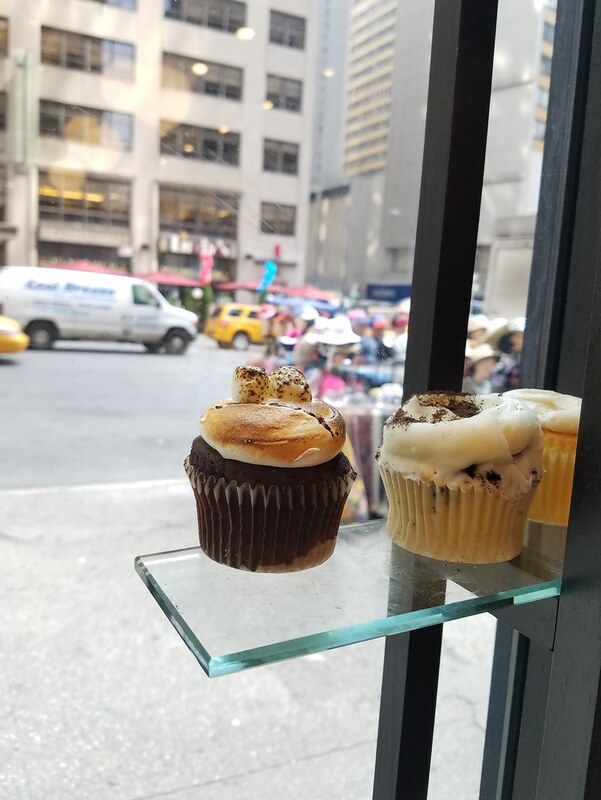 On our Halloween Adventure trip, while speed walking down 7th avenue with bellies rumbling for lunch, I spotted Buttercup Bake Shop. *Truth moment: Does such a mission ever truly end? “Ooo! I’ve heard about them! * I want to go there!” was somewhere close to what I shouted at Lance’s back as he pressed on. 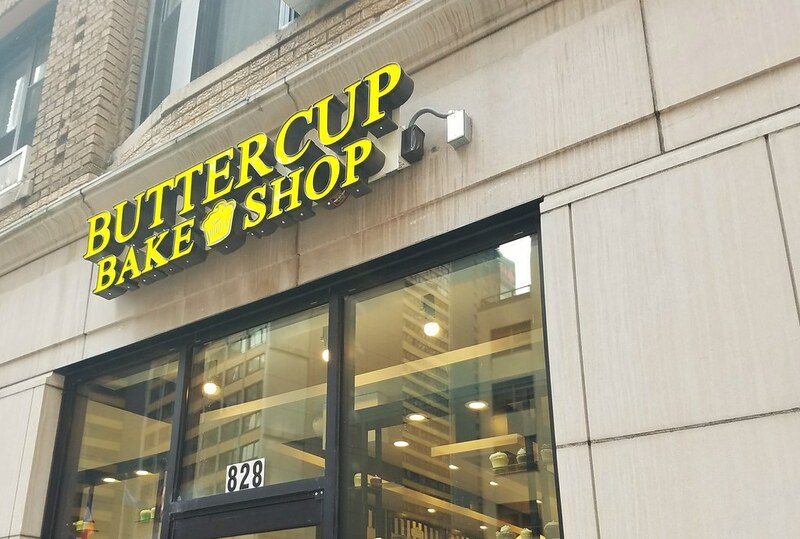 *In full disclosure, I actually had not heard about Buttercup, but rather another bakery in New York with the word ‘butter’ in their name which offers baking classes. Though I didn’t realize it until later, it’s a mistake I’m happy to have made. 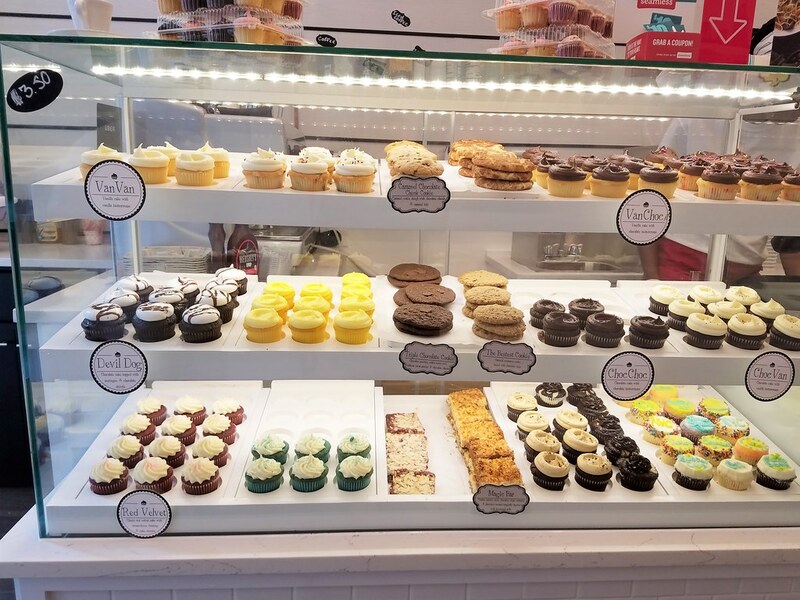 Once home, I learned via their website that Buttercup Bake Shop is the creation of Jennifer Appel, who was the original owner of the well-known Magnolia Bakery. 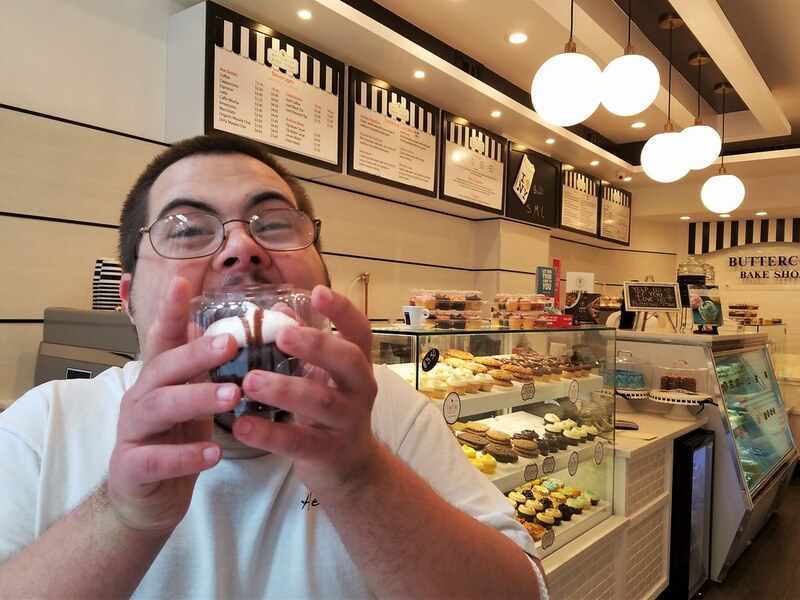 Another reason I am so glad I stumbled upon Buttercup Bake Shop. The best part of Buttercup is that unlike Magnolia, who is always overrun with tourists and people packing the tight inside space–some waiting to buy treats, some not there to buy anything, and others casually eating, it wasn’t tightly packed. This wasn’t due to a lack of customers either. In the time it took us to marvel at all the goodies neatly on display, decide on the perfect choice, then gather ourselves to leave Buttercup was visited by several other guests who were much less indecisive. 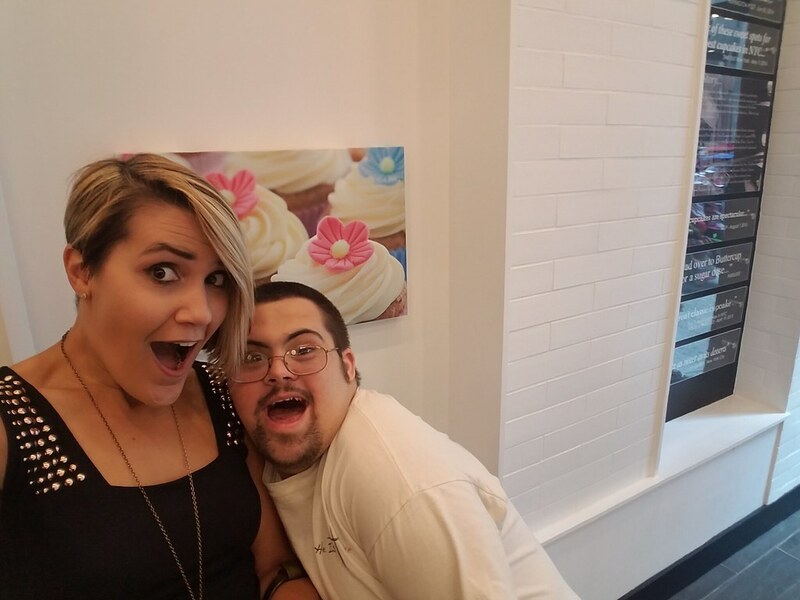 Jon spotted the devil dog cupcake and was sold. Though the cupcakes were a focus of the display case, my eyes caught their puddings/trifles in the refrigerator case. I make a chocolate trifle that is a guaranteed dinner party showstopper. It is bound to have people pledging to name their first born after me and is often requested by those who have had it before. The best part is, it is the least complicated dessert I make, yet loved by all. With this in mind, I needed to try Buttercup Bake Shop’s chocolate pudding trifle. What stood in the way of my making this easy decision was the abundance of other trifle flavors standing by. Raspberry lemon, banana, salted caramel, Oreo, tiramisu…these all blinded me and made it nearly impossible to choose. 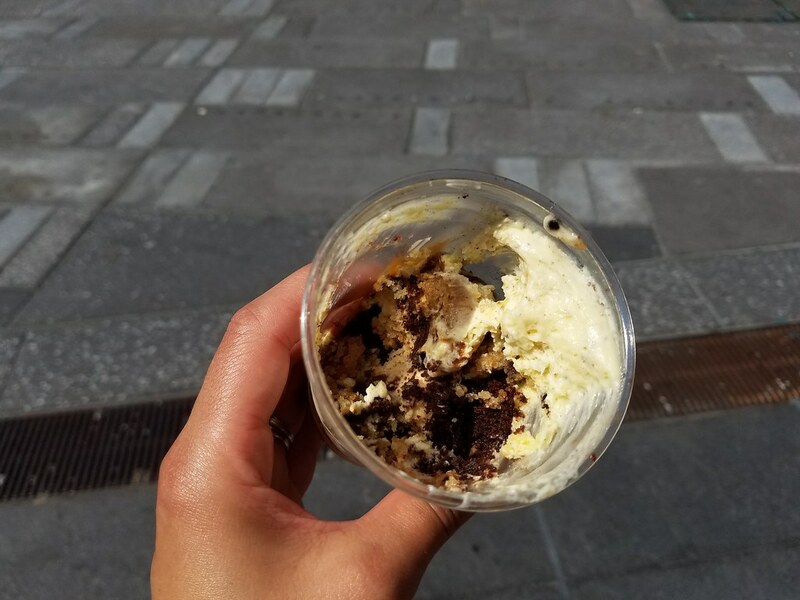 Then, I was given a sample of the classic chocolate trifle and I knew I needed it…but I was still torn, desperately wanting to order another as well. The staff member at the counter was extremely patient with me, offering to let me sample other ones. *We could have been there all day if they’d let me. This trifle is a game changer!! Do you see what is in there? Chunks of chocolaty goodness along with chunks of fresh baked cookies!! I felt like Elf* saying, “Syrup in coffee? Why didn’t I think of that?” only instead of syrup it was cookies and instead of coffee…trifle. *I realize I reference Elf an awful lot in my blog. I’d like to say I’m sorry, but, if you’ve seen the movie, you know I just can’t be! Aside from the incredible flavors and attentive staff, another great thing about Buttercup is their location. 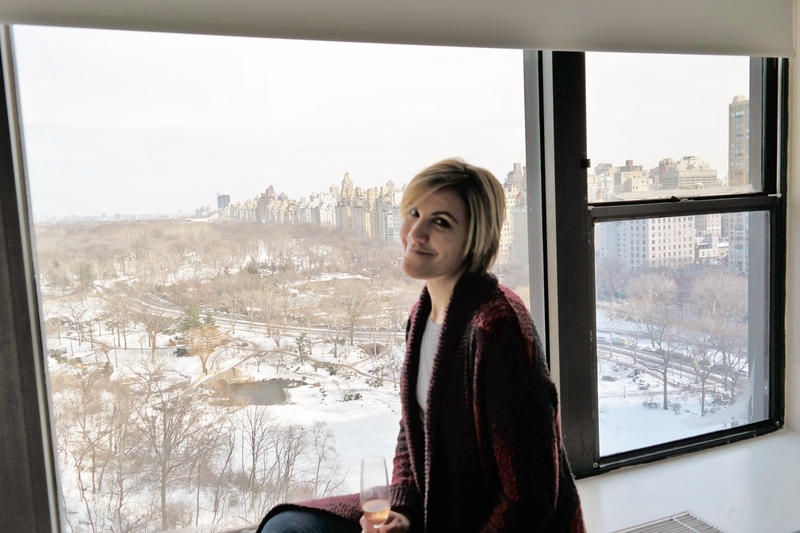 Situated practically between Times Square and Central Park, Buttercup leaves you with the option of bright lights or relaxing park views as perfect locations to sit back, relax, and enjoy your treats.